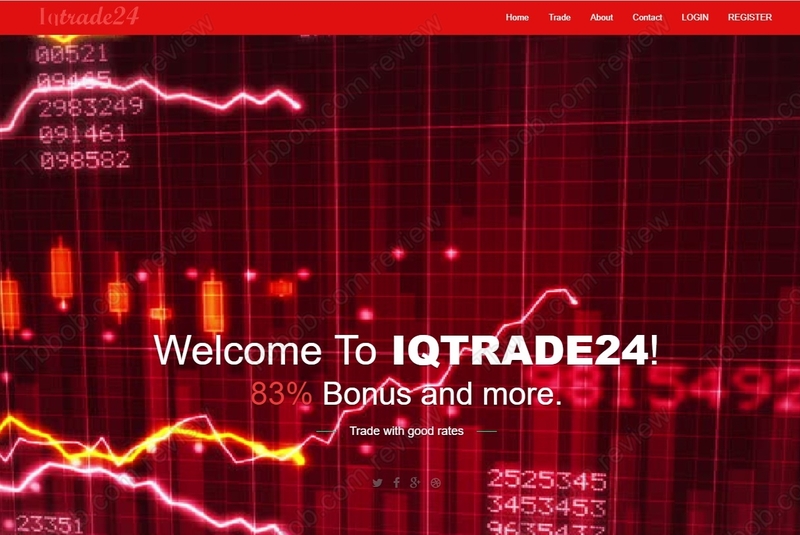 In this review we warn against the IQ Trade 24 binary options broker. IQ Trade 24 claims to be a safe and secured broker with offices in the United States and United Kingdom. 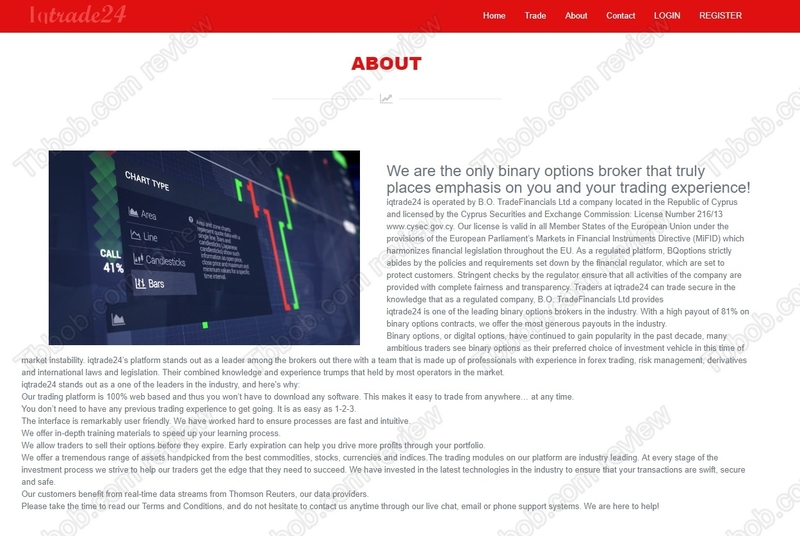 It also says it is a regulated broker owned by a regulated company called B. O. TradeFinancials. 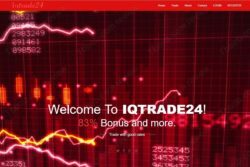 The truth is that IQTrade24 is a scam broker. We can say that because it is providing misleading information. First of all, it is not operated by B. O. TradeFinancials. But even if it was, it still would not be regulated, because B. O. TradeFinancials no longer has a licence from the CySEC. This means that IQ Trade 24 is not regulated and that it is operating illegally, because both in the US and the UK a binary options brokers need to be licensed. This was confirmed by the British Columbia Securities Commission, which published a warning saying that IQTrade24 is not authorized to provide investment services. With unregulated brokers such as IQTrade24 you can expect to lose all the money you deposit. You will be pushed to deposit more and more and all your withdrawal requests will be refused. A since the broker is not regulated, nobody will be able to help you to recover your money. These brokers operate in the shadows and it is difficult to track them. IQ Trade 24 is an unregulated and scam broker, stay away from it! If you want to trade financial markets, do it with regulated brokers only, so that your money is protected.